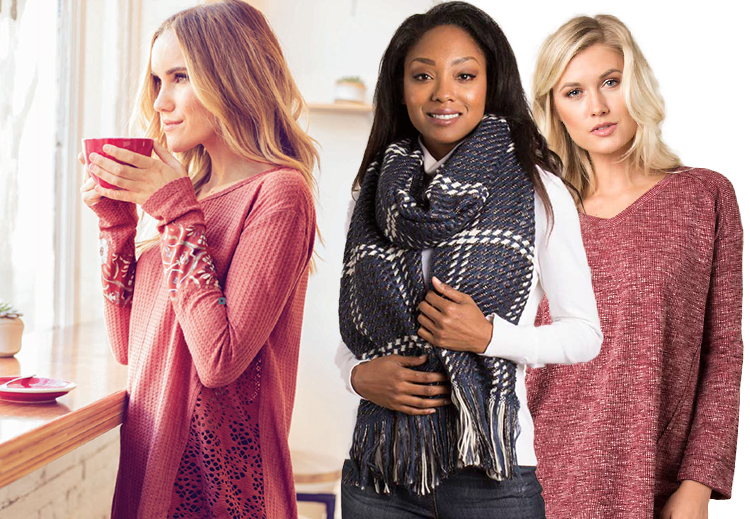 We build collections that offer something for every woman: apparel, scarves, accessories, purses, jewelry and knits. 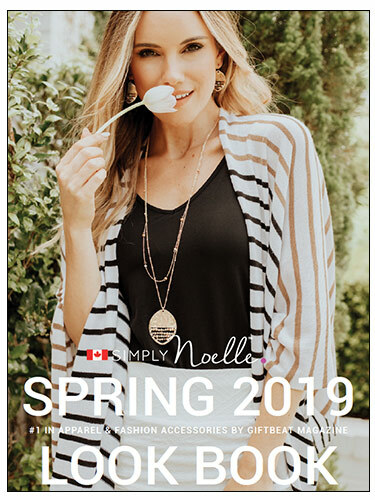 Simply Noelle fashions are developed for independent retailer, who know that fashion and gifts go hand-in-hand! 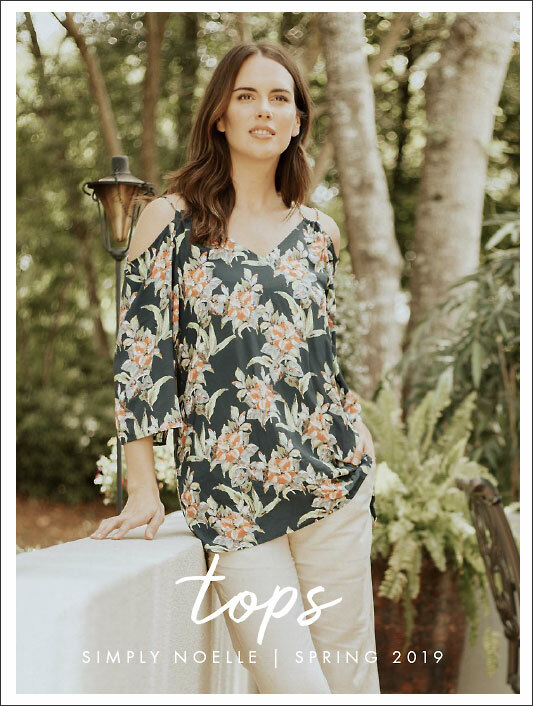 Our fashions are always easy-to-wear, designed with unique touches that reflect your unique style. ...is unique and beautiful, and that’s why we’re here. We design collections and accessories for women of every size, shape and age. We give you our best, to look your best. We’re not big, but we’re fabulous! 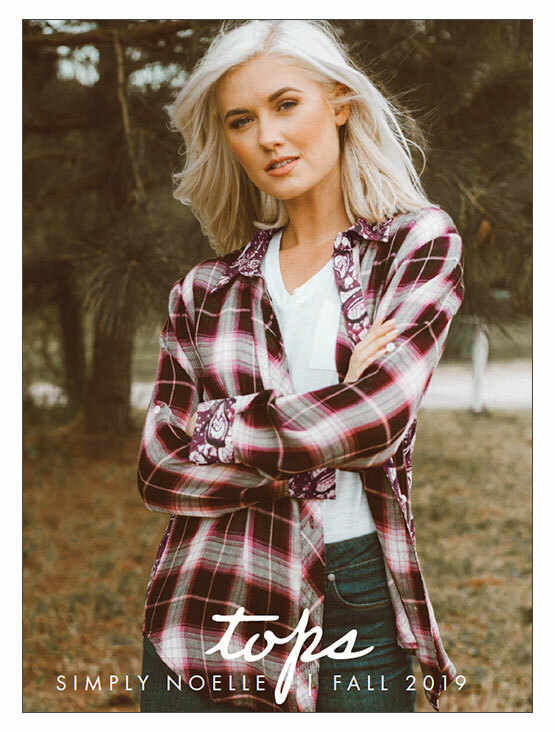 Please click on this link and send us your postal code - we’ll send you stores in your region that have ordered our line. Wear it, live it, be you! The best looks for cool, easy chic. 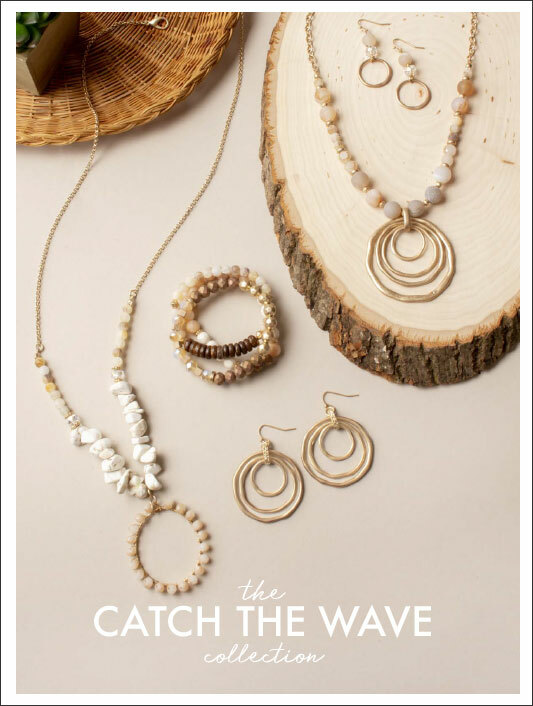 Find out about this fabulous fashion line, designed by and for women with style! 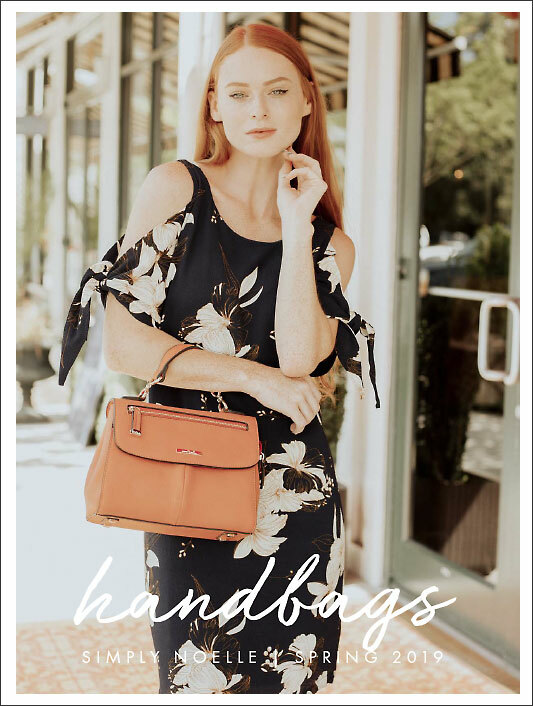 Available for ordering in Canada through your Ganz sales rep. Colour-harmonized collections of clothing, jewelry, purses and accessories with great details. 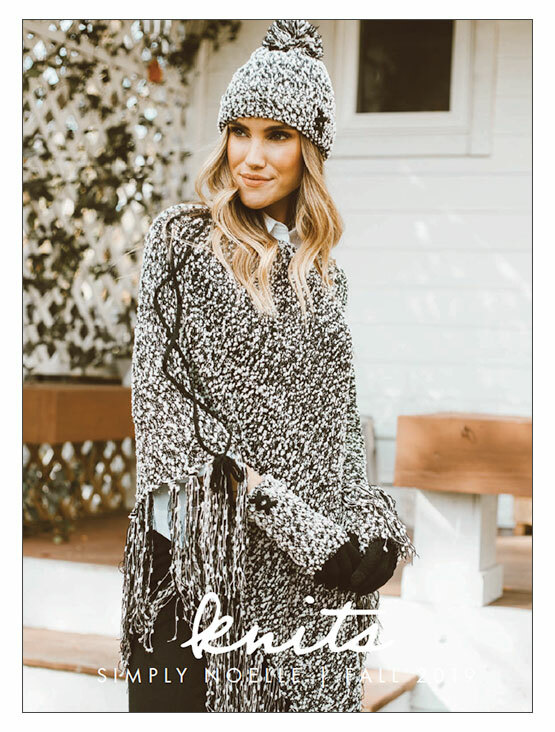 Peek at our Simply Noelle™ FW 2019 Fashion Show! 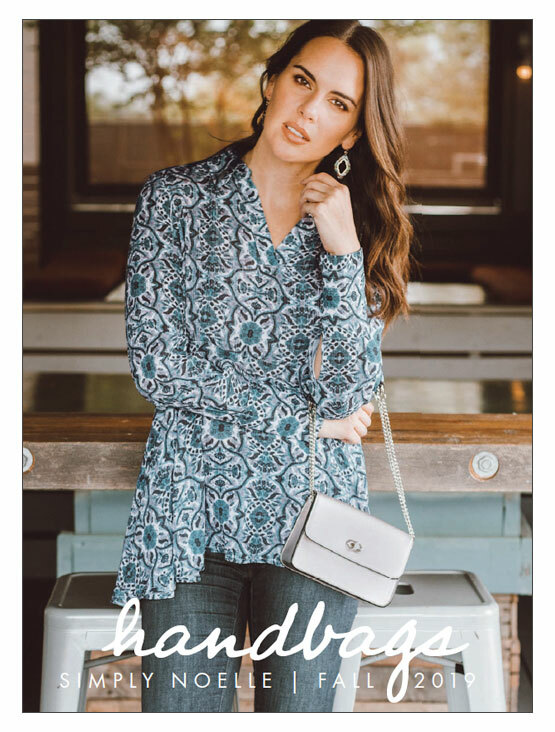 DESIGNED FOR WOMEN: Lines are flattering, sizes are human, fabrics that are nice to wear, accessories match fashion with function, and colors and prints make you glad you're a woman! ™ , © Copyright 2016 Noelle, LLC. All rights reserved.